The most popular way to personalize Can Coolers or Stubby Holders is through a process called Dye Sublimation. We perform all our dye sublimation here in Australia for you. Dye sublimation is a branding process that can be applied to neoprene (this is the material that goes into making stubby coolers). The dye sublimation print process will provide you with some amazing results in full colour that you will definitely love. Dye sublimation is an abbreviation for the words "Dye Diffusion Thermal Transfer Printing." Dye sublimation is a way to print full colour graphics onto neoprene. Specifically this print process applies ink onto a polyester cloth which is on the surface of the neoprene. Application of sublimation ink is done through heat and pressure. Your graphics and images are printed onto a transfer sheet which is then heat applied to our neoprene fabric. In essence it works like a gigantic stamp. The entire process is somewhat similar to an inkjet printer you may find at home where graphics and materials are simply fed through a machine. The key difference though is the superior results). A dye sublimation printer is typically twice the cost of a regular printer. In our instance we use industrial sized printers that are quite expensive to buy, maintain and operate. What is Special about Dye Sublimation Ink? Dye sublimation ink is special in that it can be converted from a solid sate into a gas without ever changing into liquid. It is this special property that makes sublimation branding significantly different from other branding processes. 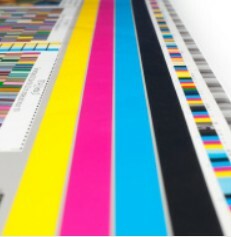 You see when printing is performed; your graphic is transferred onto film. This film is then fed through the printing machine and using heat, this forces the ink pigment to leave the film and enter into the neoprene to create the final printed graphic. When the ink is cooled down it becomes solid (heating turns it into vapour). As the ink never ever changes into liquid, the result is a precise print each and every time. The quality of a dye sublimated stubby cooler is extremely high from many perspectives. Firstly the absolute precision makes dye sublimation ideal for printing small details. 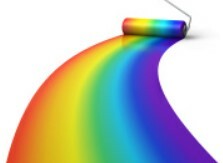 Colours are more vibrant because dye sublimation prints more intense colour. Typically all printers create results based on dots. A dye sublimation printer produces dots that are smoother to the naked eye and results in less pixilation or grain in the final image.